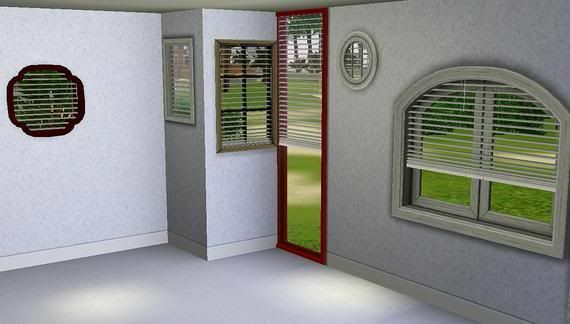 TheNinthWaveSims: The Sims 3 - Fitted Blinds One Mesh Fits in ANY window! The Sims 3 - Fitted Blinds One Mesh Fits in ANY window! This is totally amazing! Take one blinds mesh and put it in any window, high or low. It fits in there perfectly! Enjoy! Sims 2 version coming very soon. Link is now fixed. I am so glad you were able to retrieve these clever blinds and upload them here. Awesome! Can you make different lenghts too? That's a good idea, I might try it sometime. I LOVE these blinds, will the wooden version be re-posted? This is genius! Thank you, thank you, thank you!!! I love these blinds. I was wondering if you could make them adjustable like mirrors, curtains, paintings, and such are?